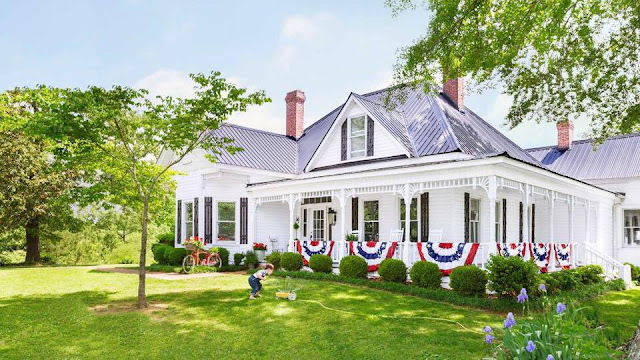 Our Beautiful farmhouse was built in 1905 and our property is home to the oldest man-made lake in Shelby County, Alabama. Here you will find all-things-farm and keep up with our renovation adventures as we take on the ultimate DIY. Summer 2016 and Country Living Magazine! Your home is beautiful and such gorgeous surroundings. I love that it sits on top of a little knoll too. Nothing better than "country life" for growing children. Thank you for sharing.....can't wait to see it evolve. Hi, Toni! I'm so glad you found your way here. Thanks for reading and for your kind words! We feel honored to live here and have the opportunity to raise our son in this home. It's a blessing! I'm so happy I found my way to your blog...I love everything you've done! My sister and her family live in Shelby, so I know it's a great little town to raise a family! I found your Little White House by way of Southern Hospitality, and am so glad because your home is so sweet and makes me wish I lived there! You have quite a bit of talent and I will be happy to follow you on your adventures, Thank you for allowing us in! Hi, Sue! I'm so glad you found your way here! Thanks so much for reading and for your kind words. We are blessed to have our home! Hi Lauren! 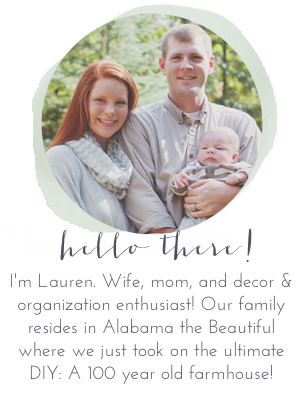 I just stumbled across your blog through IG and noticed that you and your family live in Alabama. I am from Fort Payne, AL and love to connect with other Alabamians. Your home is gorgeous... I loved seeing your pics and reading about your home renovations.